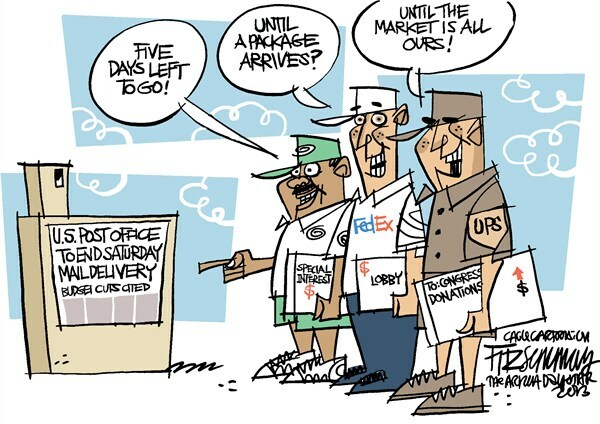 WASHINGTON — Faced with billions of dollars in losses, the Postal Service announced on Wednesday (Feb. 06 2013) that it would seek to stop Saturday delivery of letters, a sweeping change in mail delivery that immediately drew criticism from postal unions, some businesses and lawmakers. What went wrong I wonder? Would it had been better if George Washington had never passed the Postal Service Act of 1792? How many billions would taxpayers have saved since then? Would private companies like the American Letter Mail Company of Lysander Spooner have served better the market? Or would the system have collapsed without government intervention? In February 20, 1792 the Postal Service Act, establishing the United States Post Office Department was signed by President George Washington. An interesting date to remember in these days in which the Postal Service made it to the news with their Losses and their controversial solution by ending Saturday Letter Delivery. 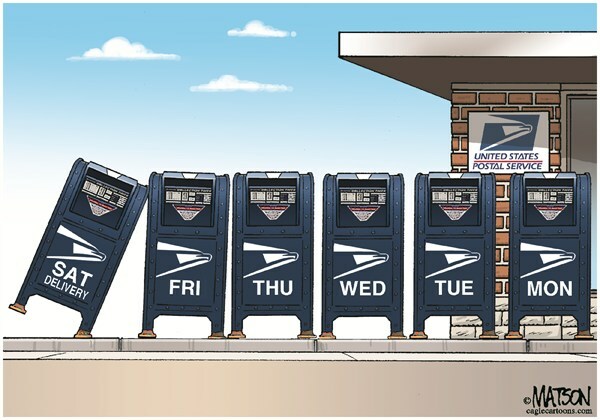 We know for certain that in a free market no company would survive if they had kept losses as huge as the one USPS has had over all these years. They had losses of $15.9 billion only last year. A principle of free market transactions is that in competing there appears a beneficial rivalry among sellers trying to achieve goals as increasing profits, market share, and sales volume by varying the elements of the marketing mix: price, product, distribution, and promotion. Thus, enabling for those companies which succeed in growing larger and for those companies which fail to disappear. With the existence of monopolistic services (like the Postal Service in the US) industries and business sponsored by government disrupted market transactions (bureaucratically made) and thus enabled for failing companies to continue existing even though they were not beneficial for society in the long-term. 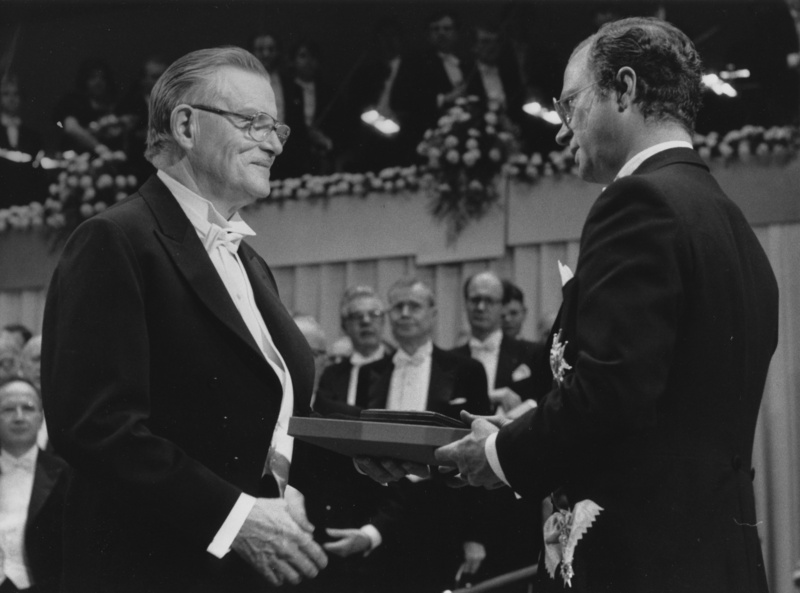 Nobel laureate and Classical Liberal economist James M. Buchanan has died today. He was one of the most important economist of the 20th. Century and will be long remembered for his work on the principles of economic self-interest and their use to understand why politicians do what they do. He received a Doctor Honoris Causa Degree from my home university at Universidad Francisco Marroquin in 2001 (link to video of his visit to UFM) and his books were some of the most important ones in my education during my college years. At UFM I learned about Buchanan with Carrol Rios de Rodriguez. Prof. Rodriguez is one of my favorite teachers and she was the former Director of the a Center for the Study of Public Choice, where the ideas of Buchanan and Tullock first were taught to me. Here are some interviews to remember the work of this great man and I invite you all to read his books and continue learning! Course on Human Action starts tomorrow!!! It is perhaps the most important and profound book ever written. Yet how many, in their attempts to read it, have been stopped in their tracks by Part I? In those 7 chapters, Mises lays out the philosophical underpinnings of economics and social philosophy. So they are crucial for understanding the rest of the treatise. Yet, for the reader not versed in philosophy, the technical terminology and references can be daunting. In this course, David Gordon will clearly explain everything you need to know to make sense of the concepts presented in these chapters. He will define the terms, provide background for the references, and make clear exactly what it is that Mises is saying in these passages. If this classic has been sitting on your shelf or in your Kindle, just waiting for you to tackle it, there is no better way to start than with this course, which will be followed by subsequent courses taught by Mises Academy faculty, covering the rest of Human Action. The video lectures are online. Lectures will be Wednesday evenings, 6:30-8:00 pm Eastern time. They will be recorded and made available for enrolled students to download. All readings will be free and online. A full hyper-linked syllabus with readings for each weekly topic will be available for all students. The final grade will depend on quizzes. Taking the course for a grade is optional. This course is worth 3 credits in our own internal system. Feel free to ask your school to accept Mises Academy credits. You will receive a digital Certificate of Completion for this course if you take it for a grade, and a Certificate of Participation if you take it on a paid-audit basis. If you drop the course during its first week (7 calendar days), you will receive a full refund, minus a $25 processing fee. If you drop the course during its second week, you will receive a half refund. No refunds will be granted following the second week. David Gordon is a senior fellow at the Ludwig von Mises Institute. He was educated at UCLA, where he earned his PhD in intellectual history. He is the author ofResurrecting Marx: The Analytical Marxists on Exploitation, Freedom, and Justice, The Philosophical Origins of Austrian Economics, An Introduction to Economic Reasoning, and Critics of Marx. He is also editor of Secession, State, and Liberty and co-editor of H.B. Acton’s Morals of Markets and Other Essays. Dr. Gordon is the editor of The Mises Review, and a contributor to such journals as Analysis, The International Philosophic Quarterly,The Journal of Libertarian Studies, and The Quarterly Journal of Austrian Economics. The passion of the teacher is often the inspiration for the student. In Living Economics: Yesterday, Today, and Tomorrow, Peter J. Boettke illuminates how economics affects all walks of life, whether in the marketplace, voting booth, church, family, or any human activity. Boettke believes that economics is not merely a game to be played by clever professionals, but a discipline that touches on the most pressing practical issues at any historical juncture. The wealth and poverty of nations are at stake; the length and quality of life turns on the economic conditions individuals find themselves living with.Economics provides a powerful framework for understanding what goes on in the marketplace, the voting booth, the family, the community, and every other sphere of social activity; indeed, the application (or misapplication) of its principles shapes the fate of nations. So teaching and learning economics are high stakes ventures. 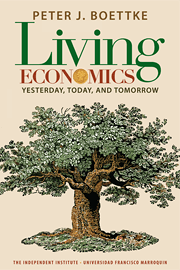 Living Economics introduces us to major thinkers: from Smith, Say, and Bastiat of the Classical School, to Neoclassical and Austrian scholars (Menger, Mises, Hayek, Kirzner, and Rothbard) on to New Institutional economists (Alchian, Coase, Demsetz, North, Ostrom and Williamson) and Public Choice theorists (Buchanan, Tullock, and others). This engaging and reasoned book is a must-read for economists, students, and everyone else who wishes to better understand economics. This are great news for those of you interested in reading and learning more of the ideas that enabled a revolutionary development of new understandings on Economics and Human Action. “Murray Rothbard had long dreamed of an Austrian academic journal. In 1986, his dream came true. The Mises Institute published it, and it changed everything. Now they can be conveniently read on your digital device! 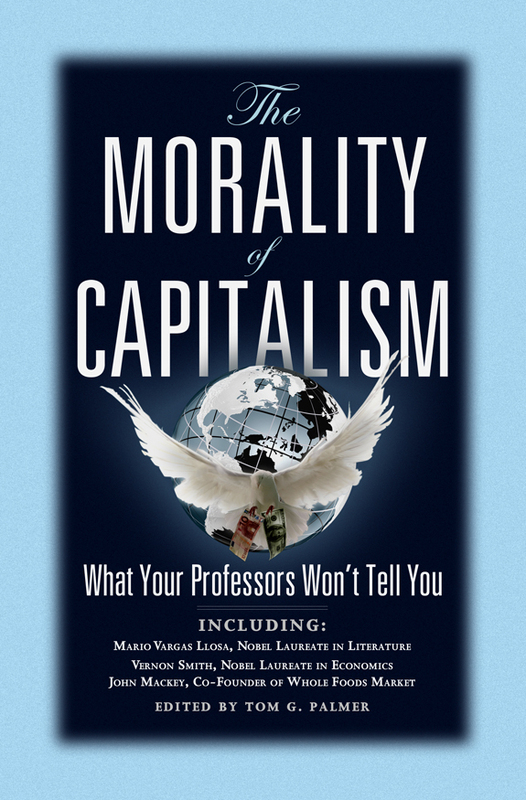 Today I finished reading a great book titled “The Morality of Capitalism” written by Tom G. Palmer. The book combines the writings of various philosophers, economists, Nobel Prize winners, and entrepreneurs to make the case that not only do “markets deliver the goods” as Vernon Smith says, but that a true free market system is a prerequisite for a just, prosperous, and cooperative society. More resources like videos, websites, and similar works in Arabic, Chinese, French, and many other languages can be found in this link. And this is exactly what happens with Social Security in the U.S. and with the immense Nanny State in Europe and with the corrupt welfare systems of Latin America; all of which I have been able of knowing. I invite you to take a look to this short video of Milton Friedman (1975) explaining how the Social Security taxes are fundamentally a lose-lose option for employees, employers and society.